The first requirement in protecting your mechanic’s lien rights is often to send a specified notice to the owner and/or GC, letting them know you are working on the job. The laws on this are different in each state. Virginia Residential lien law is different than any other state in that it requires that you obtain the information on where to send your required notice from the Building Permit. The notice required on a Virginia Residential job is the “Notice to Lien Agent.” It is not sent to the Owner, GC, or Lender as is common in other states. Instead it is sent to the Lien Agent who is identified only on the Building Permit for this job. In other words, you need to obtain the Building Permit to send the required notice for your job. This notice even requires the Building Permit No. If lien agent information was provided on a building permit, you have 30 days from your first work or delivery on the job to send this notice. This is required even of the General Contractor. If a building permit was never issued, no notice is required. How Do I Obtain the Building Permit? 1) Job site – It is required to be posted on the job site. However, if you are a material supplier, often located far from the job site, that may not help. 2) Internet search – Find out if there is an internet site that lets you search for building permits at the county or city level. Most areas will have some kind of internet search for building permits; but not all. It may take some Google hunting as it can be at the city level or county level. Some areas will allow you to request building permit and lien agent information via phone. It’s a good idea to keep a list of internet addresses and phone numbers for different regions as you establish them. 3) Subscription services – Paid services exist which obtain filed documents from Virginia government agencies and make them available for a subscription. Unless your job volume is high, the subscription rates can be prohibitive. 1) Using one of the above methods, attempt to locate the Building Permit for this job. Since the General Contractor is also required to send this notice, contacting them may also help you locate the lien agent information. 2) If you obtain the building permit and a lien agent is specified on it, your search is done. Fill out your Notice to Lien Agent and mail it. 3) If you are unable to find a Building Permit; or if the Building Permit has no lien agent on it, you cannot conclude that you’re off the hook. A building permit can be issued later, or it can be amended later to add the missing lien agent information. If that occurs, you have 30 days from that point to send your Notice to Lien Agent. If your search does not yield a usable Building Permit, set it aside for later. We recommend waiting until around the 25th day from your first delivery. Then do another search. It can happen that one will now be found or that lien agent information has now been added to a prior building permit. 4) This step can be repeated. Remember that you have 30 days from when the building permit with lien agent information is issued to send your Notice to Lien Agent; no matter when that occurs during the course of the project. 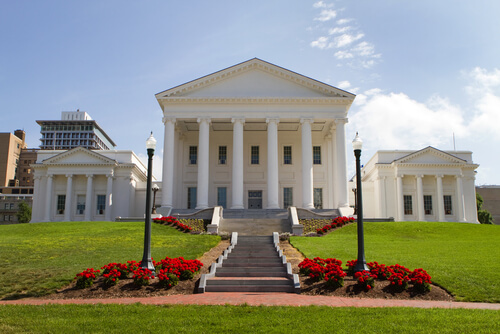 Ensuring lien rights in Virginia can be a lot of work. There is another option. BICA (Building industry Credit Association) subscribes to a large and effective service that obtains building permits in person at government offices throughout Virginia. BICA will do your searches and send out the Notice to Lien Agent for you. For more information go to www.bicanet.com.